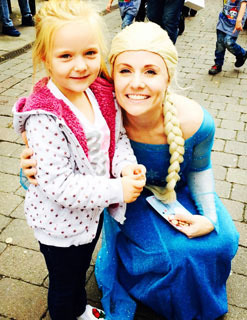 Lovely Leona is an entertainer with tons of enthusiasm and energy and her parties include party games, balloon modelling, competitions, bubbles, glitter tattoos, parachute games and a little magic too. 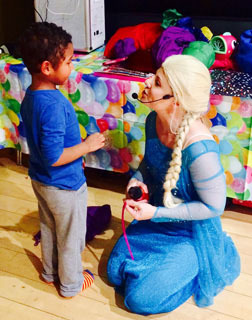 She offers a variety of themes including tiny tots parties (for babies and toddlers), princess, pirate, superhero, disco parties and pamper parties (Ages 6+) and dance and drama parties (suitable for older ones). 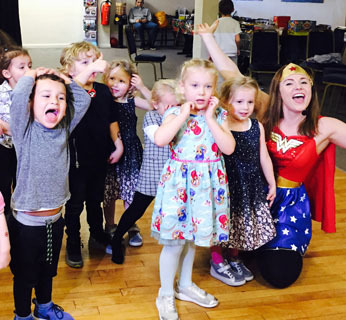 "I cannot thank Leona enough for performing at my daughter's 5th birthday party. It was amazing and she kept all the children entertained and engaged. It was worth every penny and I will be certainly using you again and recommending you to everyone I know"
"Thank you for a fantastic party for Cials 4th birthday all the children had a fab time. Highly recommend"
"Thank you for making my daughter feel so special on her birthday. Leona, made us feel at ease from the start (nerves were starting to get the better of me since we had so many children with us!). But she was completely professional and we knew we were in capable hands. Leona managed to keep the attention of 30 kids for two hours and, I have to say, I found myself singing and dancing along at some points! The glitter tattoos were a big hit, especially with the older children. Thank you again - will definitely book again next year."